You are here: Home / Horse Shows / PARTY TIME! 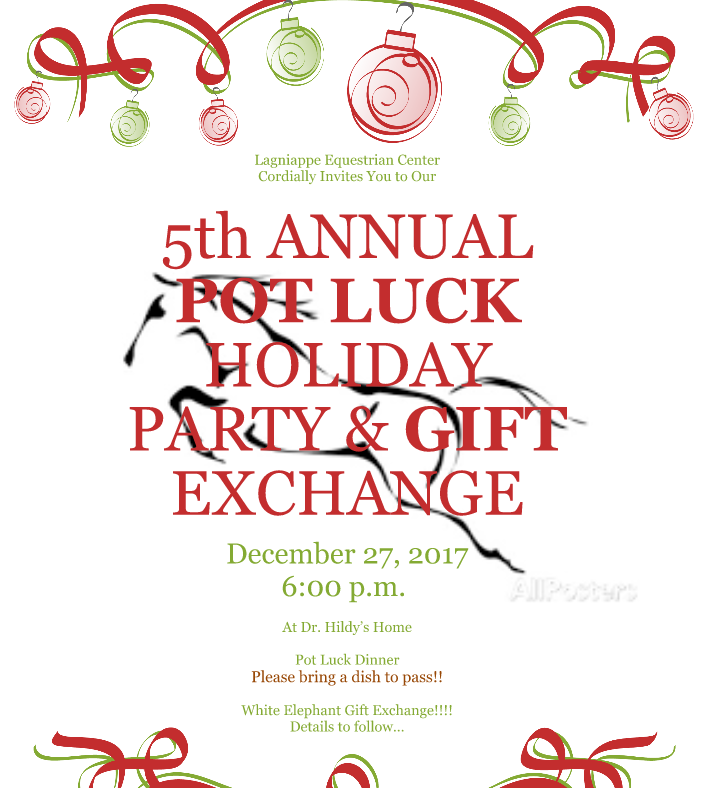 Time to mark off those calendars and prep for the after Christmas sales because it’s time to get ready for the LEC Holiday party and White Elephant gift exchange! We hope you all can make it!!!! It will be on Wednesday December 27th at 6pm!